A little shop update: I have some big changes planned for Hooray in 2010. So, I decided to do a quick holiday promotion to close out the year: from December 15th-20th, all orders over $10 will receive a gift (spools of twine, glassine bags filled with gift tags, paper sacks, etc. I have lots of fun gifts ready to go!). Giveaway: As a thank you to those who read this blog and/or have supported my shop, I'd like to do a quick giveaway here as well. I'll pick a few people randomly from the comments section of this post & send them a gift. 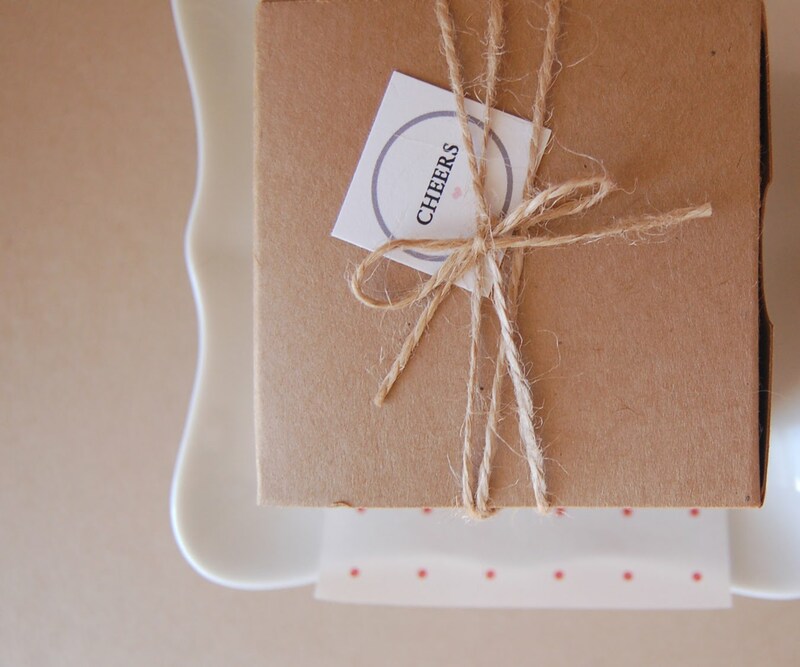 All I can say is that the gift will be small, really cute & fun to open (promise!). Simply leave a comment & I'll pick names by the end of the week. Thanks for all of your support this year! ooh, yay! everything in your shop is so cute! :) I love those camera tags! hooray! love your shop & blog so much, everything is perfect! Ditto what Barb said. I just think your shop is so darn cute. Oh, congrats on the new shop developments! I am a new reader, but excited to see what's to come! How fun! I love your shop Alli and have already put to good use some of the items I have ordered. I can't wait to see what new things you have in the New Year! Aww, what a sweet holiday treat! Here's to a great 2010! alli, thanks for the giveaway! your shop makes me want to create care packages with all the cute supplies. can't wait to see what you're adding to the shop in 2010! I'm looking forward to great things in 2010 as well. Yay! I can't wait to see the shop changes--I know they will be fabulous. I admire your style! Your shop is already so charming; I can't wait to see what lovely things you're planning. The giveaway idea is great, and I'm thankful to have gotten in on it. ps: thanks so much for keeping up with my blog! Count me in! Your blog, shop and everything in it is adorable! Don't you just love Christmas? The spirit is all around :) I can't wait to see what you will come up with next year as I am sure it will be lovely! I can't wait to see what you have in store for 2010! Thank you for the chance :) Merry Christmas! Thanks for sharing your lovely blog and shop with us! I have thoroughly enjoyed both! Can't wait to see what you have in store for 2010! That is very generous of you, your shop is gorgeous and I love your blog, it is a daily read for me. cant wait to see what you have planned for the new year! Ditto everyones comments above - and I am excited to see what changes you have planned for 2010 too! I just discovered your blog and shop and look forward to following you in the new year! Cheers.